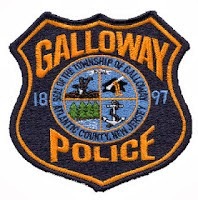 On January 27, 2014 at 3:51 p.m., Galloway Township Police responded to a motor vehicle accident on US Route 9 that involved a school bus. According to Police, a 1999 Chevy pickup driven by Julie Staley, struck a school bus driven by Nofa Charles. The school bus was waiting at a red traffic signal located on US Route 9 intersecting with Smithville Boulevard. The pickup was traveling south at the time of impact. Galloway Police responded to the scene. The bus had two (2) adults and two (2) children on board at the time of collision. No injuries were reported by bus occupants, or the driver of the pickup. The center lane of Route 9 was shut down for thirty minutes while the pickup truck and debris was removed. The school bus sustained minor damage. The driver of the pickup was issues a summons for careless driving. Ofc. Steve Garrison is investigating the accident. Wow, a pickup truck driving carelessly in Galloway??? I don't believe it.